Supplied as a pair.The Atacama HMS 1.1 (High Mass Stand 1.1) was developed in conjunction with ProAc, Britain's premier speaker manufacturer. 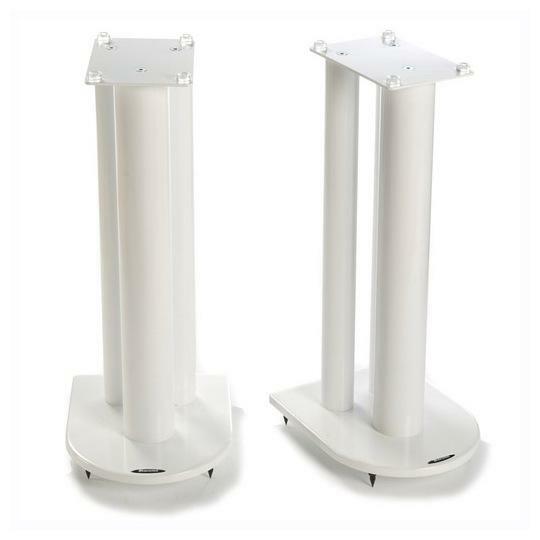 They are designed for when a reference quality monitor style speaker stand is required. This new 1.1 update has a larger round centre column allowing increased Atabite sound deadening capacity. Height 607mm, (excluding floor spikes) Width 250mm Depth 300mm Top plate: width 145mm, depth 210mm. Atacama recommend Atabite inert filler to achieve maximum sonic performance. Up to 41.8KG can be used per pair.Diamond White, Silver Metallic and Rosso Red colour finishes are available as a cost option.